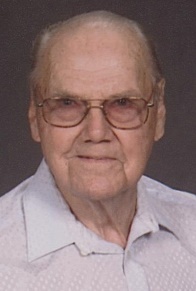 Wilbur C. "Bud" Boda, age 98, of Edwardsville, died at 3 p.m. Wednesday, May 30, 2018, at Hitz Home in Alhambra. He was born May 18, 1920, in Hamel, the son of the late William and Katie Hueiser Boda. He married Esther A. Wiehe on March 31, 1951, In Hamel. She preceded him in death. He is survived by his children: Gary (Luann) Boda of Alhambra, Sheryl (Ken) Hencke of Edwardsville and Karma (Bruce) Colbert of Edwardsville; his grandchildren: Heather (Kevin) Luitjohan, Lindsey (Dave) Duffin, Ben Boda, Katie Boda, Kyle (Cortney) Colbert and Kelsey Colbert and great-grandchildren: Madelynn, Emma, Nolan and Amelia Luitjohan and Piper and Logan Duffin. In addition to his parents and wife, he was preceded in death by one son: Bruce Boda; one sister: Mildred Stille and one brother: George Boda. Mr. Boda was a mechanic at Madison County Tractor, Sievers and Lynn Tractor for many years. He was a member of the Edwardsville Moose Lodge and Madison County Farm Bureau. He attended Immanuel United Church of Christ. Visitation will be from 4 p.m. to 8 p.m. Friday, June 1, 2018 at Saksa Mateer Funeral Home and at Immanuel U.C.C. in Hamel at noon on Saturday, June 2, 2018. Funeral services will be at 1 p.m. Saturday, June 2, 2018 at the church. Memorials are suggested to Immanuel U.C.C. and H.I.S. Kids in Highland.